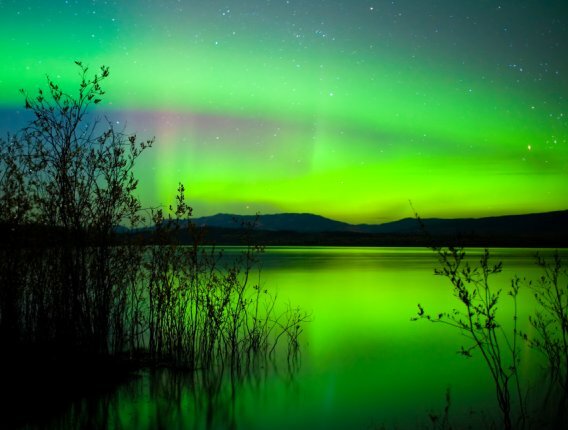 Major Magnetic Storm Watch Issued -- Northern Lights Show Possible. UPDATE: Storm watch now extended to 72 hours. First 24 hours, 6 Kp possible. The National Oceanic and Atmospheric Administration (NOAA) Space Weather Prediction Center has issued a 24 hour "G2" magnetic storm watch to be followed by a 48 hour "G1" storm watch. This means a significant Coronal Mass Ejection (CME) emanating from the Sun may be heading towards Earth. A CME is a fast moving cloud of charged particles which can cause a Northern Lights display. 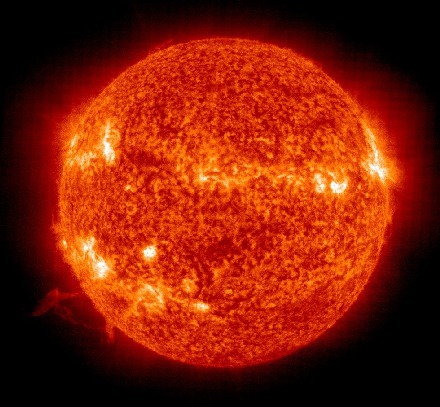 The CME is the result of a large X class solar flare that occurred on the Sun on November 7th. The watch begins at the time indicated above. It should be noted that the beginning of the storm watch does not necessarily predict the arrival time of the CME cloud, rather it indicates that, within that period time, increased activity is expected. Real-time Aurora Borealis forecasts can be obtained at the Aurora Borealis Forecast page. NOAA estimates the CME currently headed towards Earth might produce a Kp number of 6 during the first 24 hours and a Kp of 5 during the next 48 hours, but that's never fully known until it hits Earth. NOAA’s Space Weather Operations Chief, Bob Rutledge has indicated the long term accuracy of these G2 storm watches (6 Kp predicted) is good, "with the storm hitting the predicted mark about two-thirds of the time." Rutledge noted there is generally a higher degree of certainty when NOAA predicts a G2 storm as opposed to the smaller G1 storms. The G2 storm watches imply a more clear-cut earth directed CME.